Products that stretch the boundaries of aesthetics. 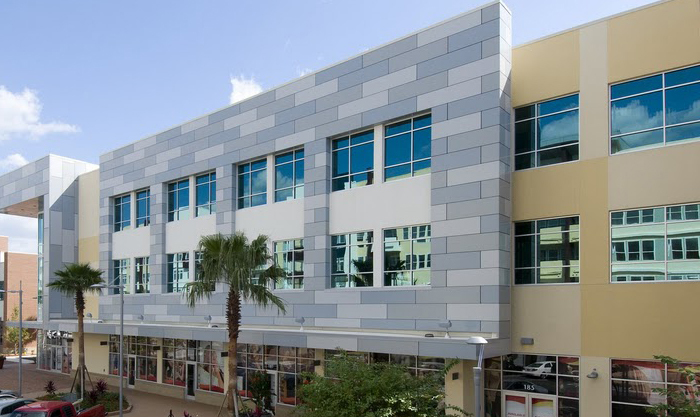 Choosing a metal wall panel system from CENTRIA means you can be sure your building envelope will provide superior performance, aesthetics, sustainability and value. CENTRIA offers advanced thermal and moisture protection for outstanding performance and a wide range of forms, colors and textures for unlimited design options. FORMAWALL takes single panel wall innovations to new heights of performance and aesthetics. FORMAWALL offers outstanding thermal efficiency and moisture control, combined with virtually unlimited design possibilities, in an extensive range of lengths, widths, reveals and integrated components. The Intercept V-Trac Modular Panel System offers a high quality, monolithic design that delivers amazing performance. 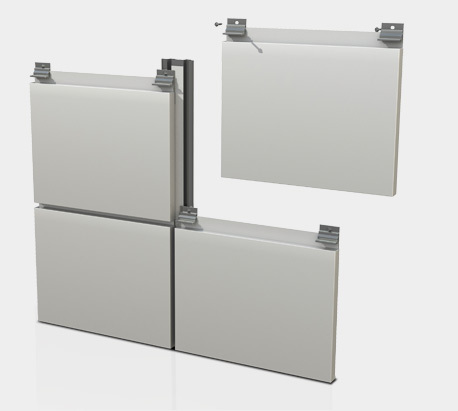 The concealed fastener system panels are installed sequentially over a vertical carrier track (gullwing) and are suspended from the top using a clip attachment at panel ends. Three material options are available—.060" aluminum, 1.5mm zinc and 32oz copper. 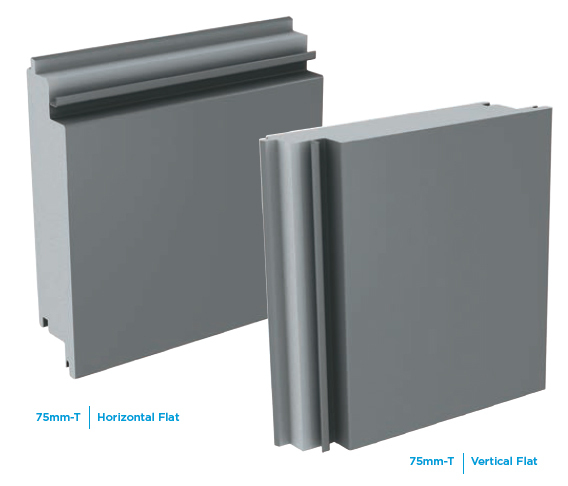 Formawall Dimension Series' insulated metal panel includes a factory foamed-in-place core, minimizing insulation gaps, along with a thermal break between the face and the liner. The panels offer superior weather resistance by utilizing pressure equalization along the length of the horizontal joinery. CENTRIA's ATMP® technology allows Formawall Dimension Series insulated metal wall system to provide superior thermal and moisture protection.